For Canada's 1967 Centennial year it is the image of a fish (mackerel) that is displayed on the special edition Centennial dime. In 2001 the dime again receives a special design in honor of the "International Year Of The Volunteer". The 10 cent Canadian coins minted in 2001 display an image in honor of the many Volunteers who contribute their time and lives to making the world a better place to live. 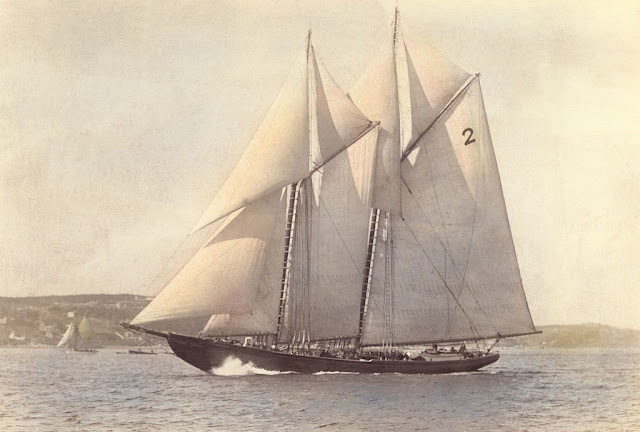 From 1908 till 1919 the Canadian dime was comprised of a metal blend of 92.5 percent silver and 7.5 percent copper. 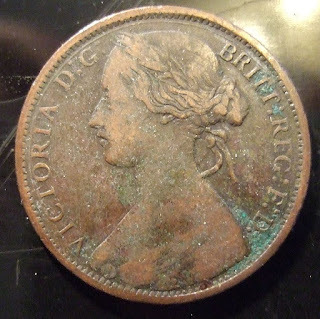 From 1920 to 1967 the Canadian dime was comprised of an eighty percent silver and twenty percent copper blend. It is the rising cost of precious metals which initiates the change of metal content in Canadian coins made after the 1967 Centennial year. Silver was becoming just too expensive to merit using for these small denomination coins. From 1968 onward the dime would no longer be comprised of silver but instead would be comprised largely of nickel or steel. 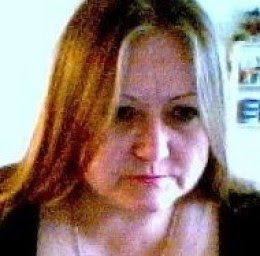 From 1968 to the year 2000 the dime would contain 99.9 percent nickel, and after that date it would contain 92 percent steel and a remaining metal blend of copper and nickel. 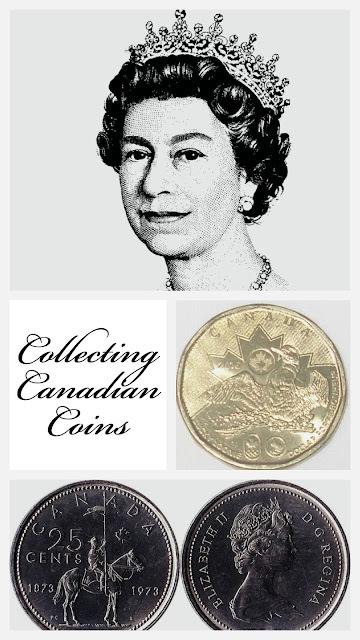 The English Royalty which are displayed on the Canadian dime are as follows: 1858 to 1901 dimes display her Royal Majesty Queen Victoria, 1902 and 1910 - Edward Vll, 1911 to 1936 - George V, 1937 to 1952 - George V1, 1953 to present day - Queen Elizabeth. 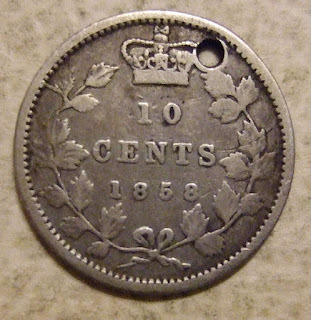 A little trivia fact on the ten cent coin is that it was not always Canada's tiniest coin. 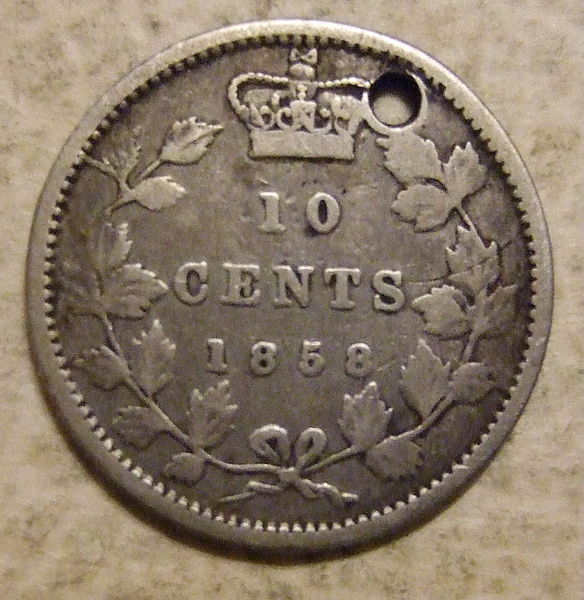 The first Canadian nickels were actually much smaller in weight and dimension than the 10 cent coin. It wasn't until 1922, when the nickel was increased to its current size that the tiny dime was able to place its current claim as being Canada's smallest coin. From 1910 to 1967 the Canadian dime weighed in at 2.33 grams and measuring 18.034 mm. In 1968 when the 10 cent coin had its metal composition changed so also did its size, the dime shrank and today weighs in at 1.75 grams and measures a mere 18.3 mm. Keep a watch on your pocket change for special or older coins that might show up there. 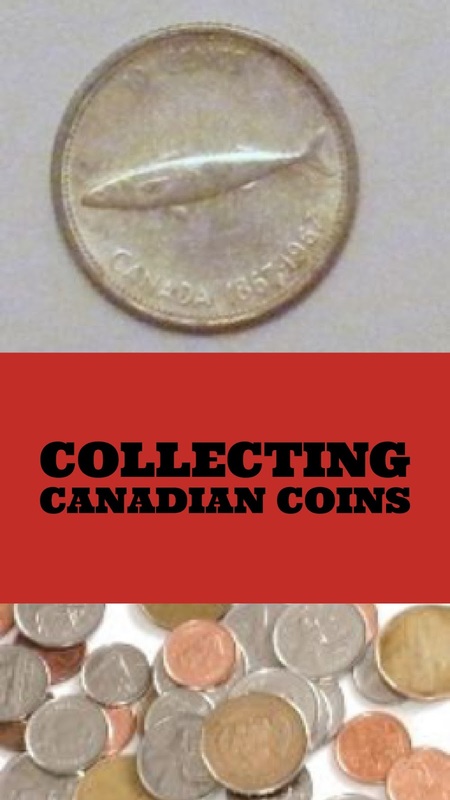 Keep a guide book for Collectible coins handy and whenever you discover a coin in your pocket that appears just a little different from the others, look it up. You will be amazed at the coin collection that you can acquire by simply saving the older or rare coins that you can find in your pocket change. A guide book is a valuable aide in helping you find those rare but valuable coins. 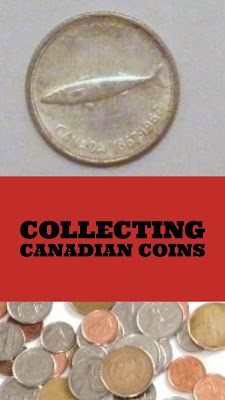 Guide books for collecting Canadian Coins generally cover coinage across North America. As many coins have a tendency to travel between countries this guide makes it easy to identify rare or collectible coins which you might discover in your change. 1908, 1915, 1933, 1934, 1935, and 1948 are dates to watch for on the Canadian 10 cent coins in your change. The number of dimes minted in those years was much lower than on other years. 1908 - 776,666 dimes minted. 1915 - 688,057 dimes minted. 1933 - 672,368 dimes minted. 1934 - 409,067 dimes minted. 1935 - 384,056 dimes minted. 1948 - 422,741 dimes minted. There were generally over one million dimes minted of each year but during the above years there were less than one million of each minted. A little known fact about the Canadian dime is that no Canadian dimes were minted in 1922, 1923, 1924, 1925, 1926 and 1927, so if you were looking for one of those to complete your coin collection, don't expect to find one. Collectible paper dollar money is especially vulnerable to damage and should receive special storage care. There are many dollar bill money envelopes and albums available to keep these collectibles safe. Find the one best suited to your needs and organize your collectible paper dollar bill money within them. 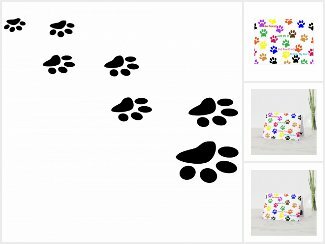 Use coin albums to store your collectible coins and bills. This will help keep your collectible money organized and in good condition. There are a number of coin albums, storage pockets, display boxes, and envelopes available to protect your collectible coins.